Are you tired of the word ‘craft’? We are too. Luckily it’s just the word that’s become tiresome, and the thing in itself is actually pretty tasty. 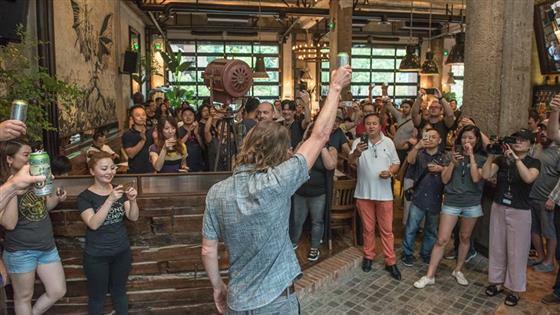 Opening on Yuyuan Lu just next to The Cannery, American independent craft brewery Stone Brewing has thrown open the doors to its first location in China, with as much US craft beer as cocktail-crazy Shanghai can likely stomach. In tap terms, this means a selection of 30 different beers at any given time – curated from the brewery’s own stock as well as guest beers from around the globe. The beers are, quite simply, very delicious. The selection slants towards IPAs – try the bright and fruity Tangerine Express – or avoid the bitter, hoppy bite with the smooth, heady and very high ABV Old Guardian oak-smoked barley wine, aged in bourbon barrels. Layered, complex and well-rounded, these aren’t the one-dimensional watery pints of aughties China, and are largely more nuanced than many domestic craft beers. In contrast to Stone’s aggressive and bold beer programme is the space, which is kitted out in an uninspired, played-out semi-steam punk aesthetic of exposed concrete and wood, with heavy metal accents. 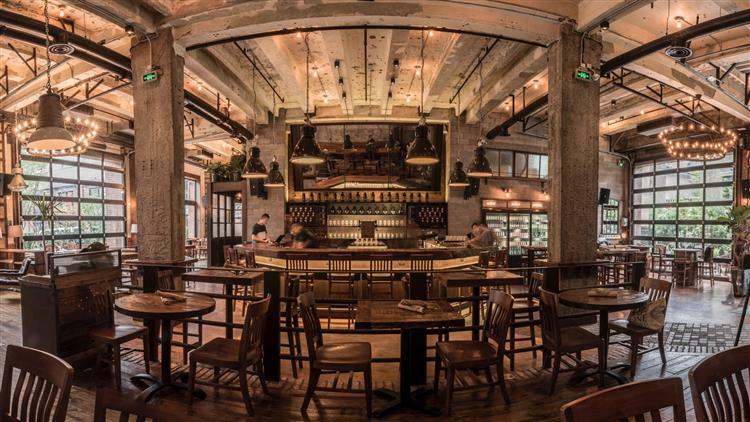 Dining tables fill up the room – you could eat a passable meal here (get the wings), but why do that when you could just be drinking beer? Savor the last sips of the devastatingly dank Enjoy By 4.20.19 IPA while spending the Saturday jamming out to blues, jazz, and funk performed live by Yiko and Les Hombres.